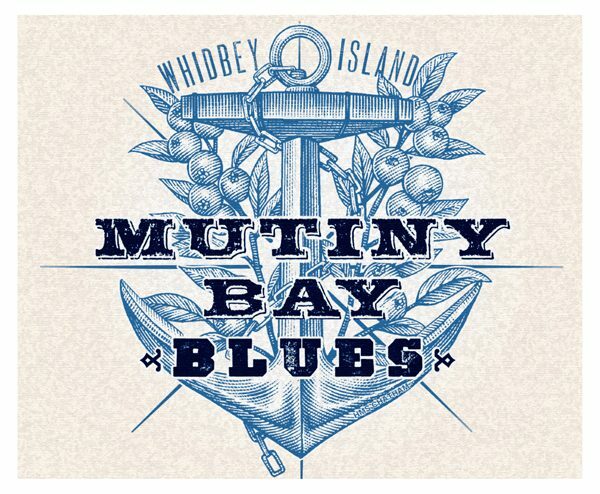 Michael di Canio from Circle R design commissioned Steven Noble to create the new logo identity for Mutiny Bay Blues along with a landscape scene. 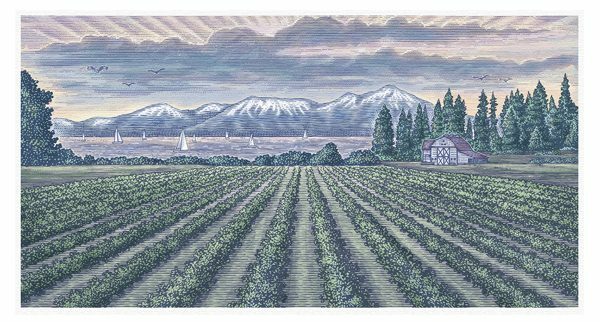 The farm, located on Whitby Island in Washington State, grows and produces organic blueberries. Their logo includes an anchor that sits in the foreground flanked by two blueberry branches. 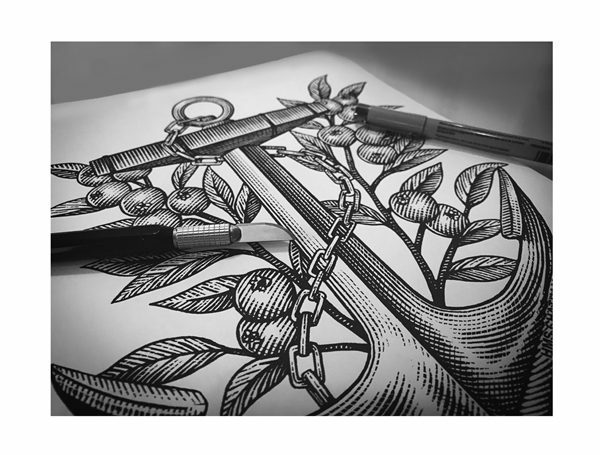 The symbolism of the anchor represents and combines the marine element of Mutiny Bay along with the important key element of the blueberries as their specialty product. Illustrations were rendered in a scratchboard woodcut style.